There is so much more to studying ESL in San Francisco at EC San Francisco besides English courses. 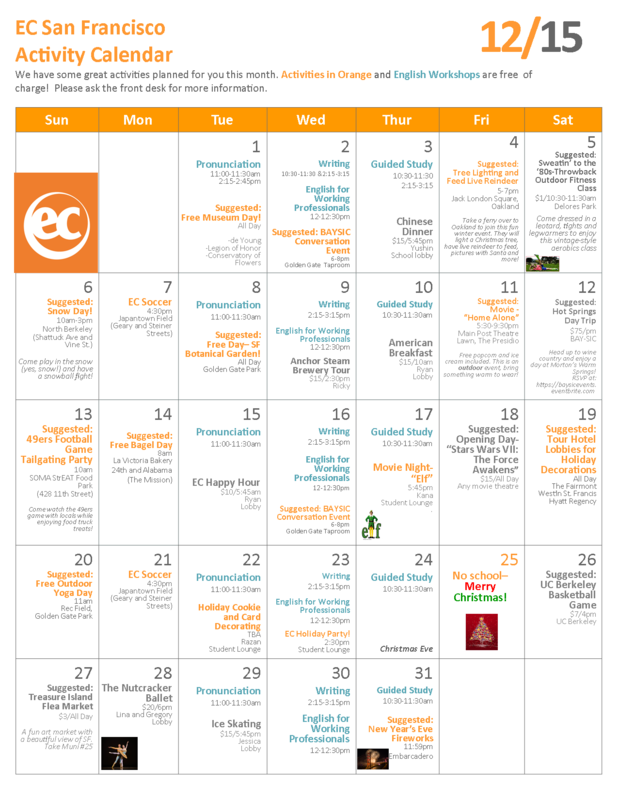 Check out our event calendar for November 2015. 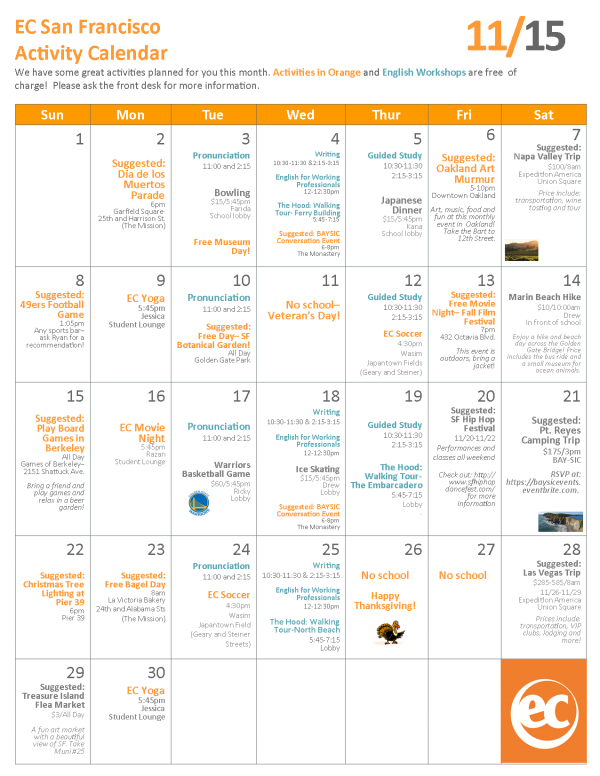 There are plenty of outdoor activities on the calendar. San Francisco English School will be taking students on a variety of activities with teachers and student ambassadors. All accompanied activities in orange require a 5 student minimum, so it’s very important to sign up. There’s a sign-up sheet at the Front Desk. Pay for tickets and weekend trips at the front desk. If you have any questions, please speak to Jessica. Some of the highlights for this month include Warriors Basketball Game, Napa Valley Trip, and the Hood Walks which provide a detailed tour of the different San Francisco neighborhoods, many fall holiday activities. as well as so much more. We have some great activities planned for you this month at this fun language school in San Francisco . We encourage students to join as many events as they can to increase exposure to English-speaking opportunities and environments. Classes in blue and activities in orange are free of charge. Please ask the front desk for more information.It is a great experience to study in the USA to learn English.